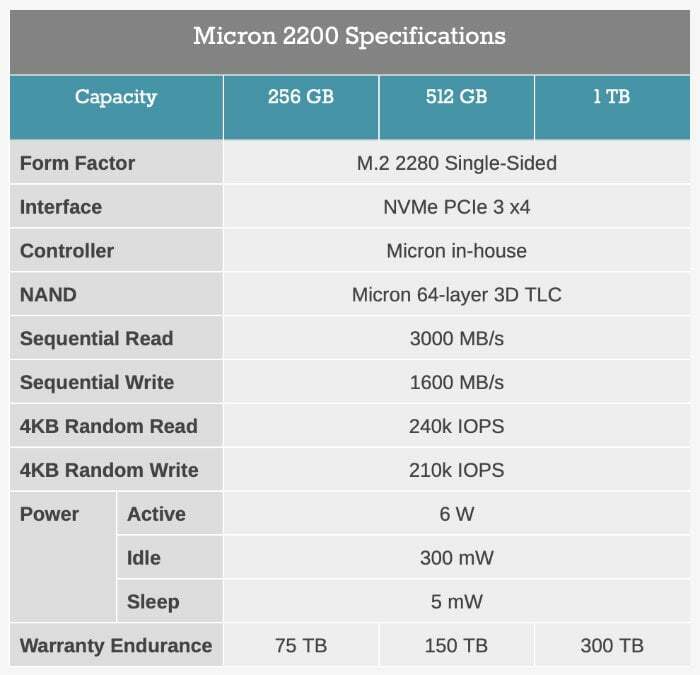 Micron has announced the launch of a new solid state drive (SSD) it has created and equipped with a new in-house controller, taking the form of the Micron 2200 Client NVMe SSD. New SSD is the first to use the new in-house client NVMe SSD controller and although it doesn’t provide the performance of enthusiast class SSD drives, businesses can benefit from the design and affordability. 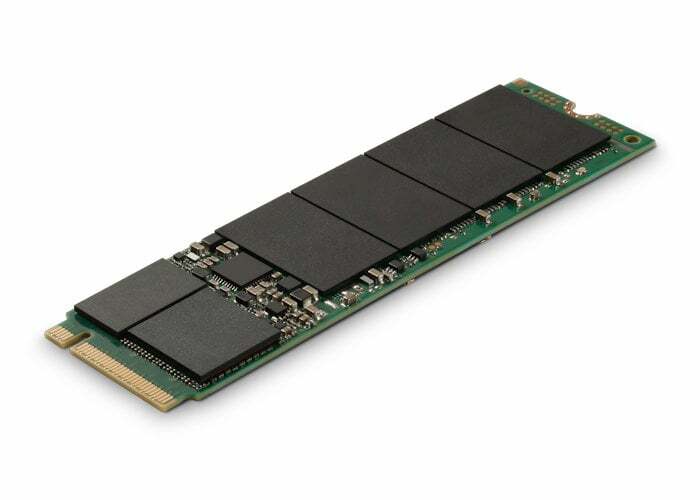 Micron 2200 Client NVMe SSD is available in capacities of 256 GB, 512 GB, and 1 TB, the Micron 2200 is rated to offer sequential transfer rates of up to 3000 MB/s reads, with up to 1600 MB/s writes, up to 240,000 IOPS 4K random reads, and up to 210,000 IOPS 4K random writes, with an endurance rating of 75 TB, 150 TB, and 300 TB, for the 256 GB, 512 GB, and 1 TB variants, respectively.